Can India and Western nations adopt an energy policy that copes with China and promotes domestic industry? Competing in today's solar industry is painfully difficult. Solar panel pricing has plummeted faster than anyone expected. This could be due to Chinese solar companies selling below cost, as per allegations by SolarWorld and its CASM consortium. Interpreted in a different way, it might be due to China actually having an effective industrial and energy policy. China has an abysmal human rights record and disgraceful pollution standards. But it does have an energy policy that looks at the long term -- and backs it up with funding and execution. What is India's energy policy? To set renewable energy standards with no real roadmap to achieve those goals? To impose local-content requirements with no competitive local-content providers? To set tariffs against low-cost vendors? And while I'm asking, what is the U.S. energy policy? To keep oil prices low by maintaining a treasury-sapping presence in the Mid-East? To promote fracked natural gas at the expense of water quality and human health? To open the door to tar sands? According to an article in Bloomberg, India may start an anti-dumping probe into imports of Chinese solar panels. Renewable Energy Ministry Secretary Tarun Kapoor said that Indian solar manufacturers are also seeking a tariff on thin-film solar panels from the likes of U.S. solar manufacturer First Solar. Thin-film manufacturers are exempt from India's local content requirements and some of First Solar's Indian developer customers have received low-interest loans from America's export-import bank. The Indian federal government is going after imports while Indian states such as Rajasthan are more open to international imports. That would seem to be a conflict in the making. Mr. Subramanya's anguish for the success of solar and the need for fair competition is possibly going to be replaced by the anguish of his impending unemployment. His titular employer, BP Solar, "has decided to abandon solar energy" according to a recent internal email sent by BP to its employees, obtained by Energías Renovables. BP Solar said that the company was "unable to generate the necessary margins from its solar business." BP noted that it would still be involved in renewables in wind and biofuels. BP leaves solar after more than three decades in the business. According to the Bloomberg piece, "Indian suppliers like Tata BP Solar India Ltd., Indosolar Ltd. and Moser Baer India Ltd. have failed to benefit from a rule intended to spawn a domestic manufacturing hub in one of the world’s fastest-growing markets. 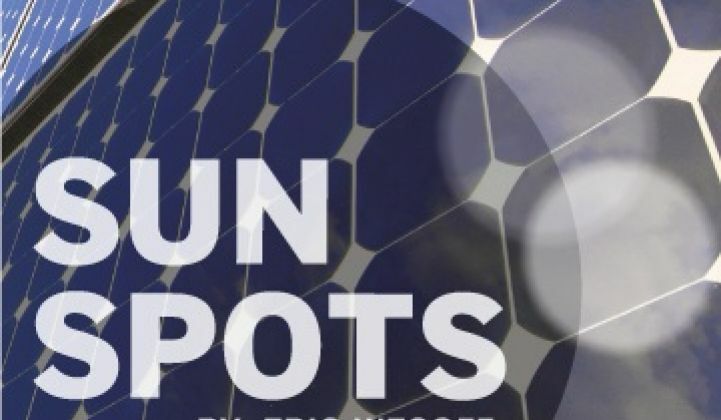 Instead, low-cost Chinese rivals like Suntech and Trina Solar Ltd. and U.S. firms backed by preferential trade finance, including First Solar, have reaped most of the equipment orders for 1,100 megawatts of plants to be built by January." The piece adds, "Local manufacturers have received almost no orders from developers building plants in India and are producing far below their factories’ full capacity. [...] Indosolar, the nation’s biggest cell company, stopped production in June and has defaulted on 2.75 billion rupees ($52 million) of long-term bank loans as its business became 'unviable,' Fitch Ratings analysts Vivek Jain and Salil Garg said in a Dec. 5 note." Jigar Shah has suggested that the right policy is to remove all subsidies from all energy sources. 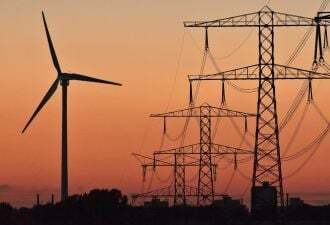 He wrote on his blog, "The federal government should get rid of permanent energy subsidies for all energy sources, including fossil fuels, nuclear, solar, wind, biofuels. This would force everyone to innovate, compete and win -- or lose -- on their own merits.